064 of 106. 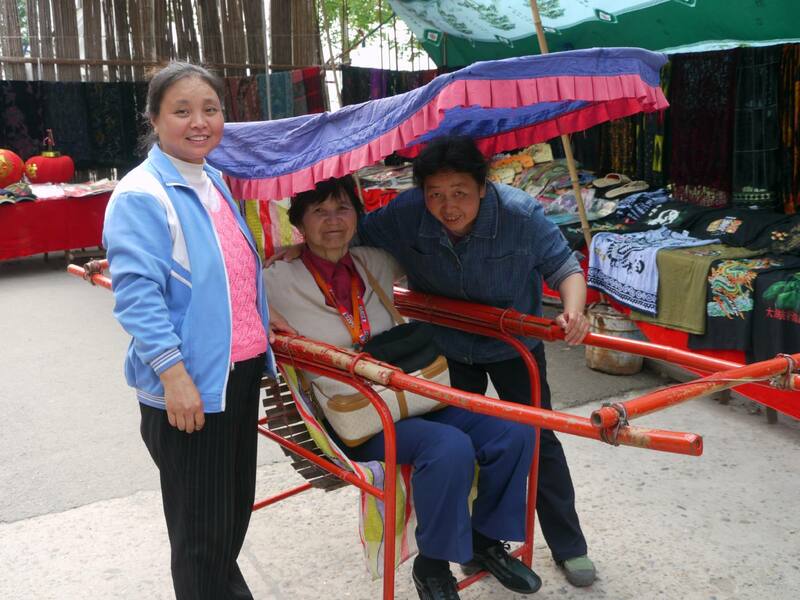 Michiko still had plenty of energy, but we got a hard sell from these two women to carry her back in a Sedan Chair. Very tough women! I had to struggle to keep up with them; they stopped briefly only once to rest, and I was very grateful for the break! I weigh more than twice as much as Michiko and at first they were trying to get me to be carried back.